August was a busy month for Motordepot as it saw the sites sell in excess of 1,000 cars in the calendar month. With sales figures like this it meant hundreds of fresh cars were added to our website each and every week. Key to this success were Motordepot's Personal Contract Purchase Plans (PCP), which accounted for more than half of the cars that were sold on Finance. These great value PCP plans enabled our customers to take advantage of more affordable monthly payments. 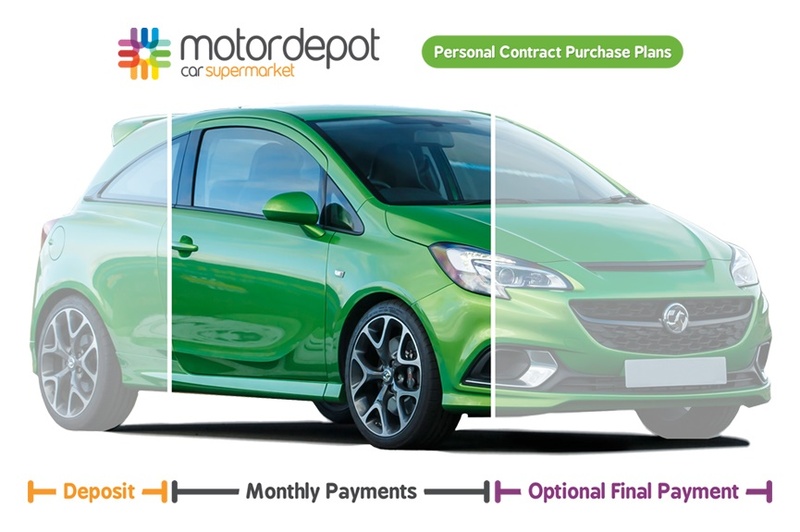 Personal Contract Purchase Plans are structured in such a way that monthly repayments are usually much lower than they would be with regular hire purchase. This means that on a PCP, the same car should cost considerably less per month to finance, or alternatively you can buy a more expensive car for around the same monthly payment. This is what makes a PCP so attractive to the car buyer. To keep the monthly payments lower, the finance company calculates the residual value of the vehicle when the finance period is due to end. This value becomes the "guaranteed minimum future value" (GMFV). The GMFV is the minimum amount the car will be worth at the end of the agreement. It also means if the car unexpectedly drops in value you'll be protected and if the car happens to be worth more, you can use the equity as deposit in your next PCP deal, which is usually what most customers do. If you want to take ownership of the car at the end of the term you will need to pay the "GMFV" as your final payment. In other words with a PCP you are only repaying a portion of the borrowing because of the GMFV, so you have lower monthly payments and/or lower initial deposit and/or shorter repayment term. To summarise, personal contract purchase is like leasing a car but with the option to own the vehicle at the end of the term. We believe it's this flexibility coupled with the affordability it offers that has been proving so popular with our customers.